Let the Oak Ridge Boys get your day off with a bang! Paul and Silas went back to Derbe and Lystra, where there was a follower named Timothy. His mother was also a follower. She was Jewish, and his father was Greek. The Lord's followers in Lystra and Iconium said good things about Timothy, and Paul wanted him to go with them. But Paul first had him circumcised, because all the Jewish people around there knew that Timothy's father was Greek. As Paul and the others went from city to city, they told the followers what the apostles and leaders in Jerusalem had decided, and they urged them to follow these instructions. The churches became stronger in their faith, and each day more people put their faith in the Lord. This, the first leg of the journey through Syria and Cilicia, would have been comparatively easy. 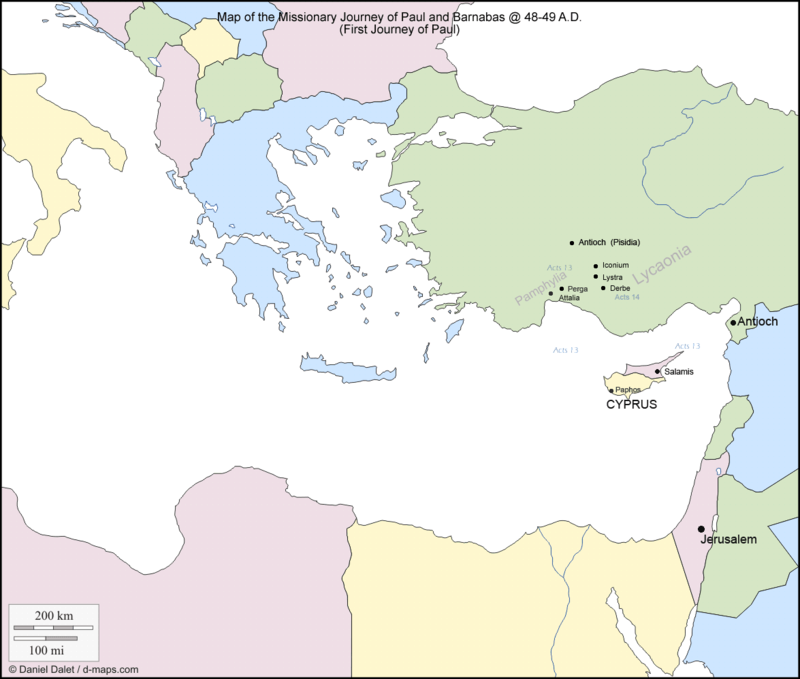 Paul's home, Tarsus, was located in Cilicia halfway between Antioch and Derbe. A straight journey would have been about 350 miles, but they wandered from town to town along the way, and they apparently stayed in a number of towns to make new converts and encourage old ones. Having reached Lystra, Paul meets Timothy, who will become his faithful companion and scribe. 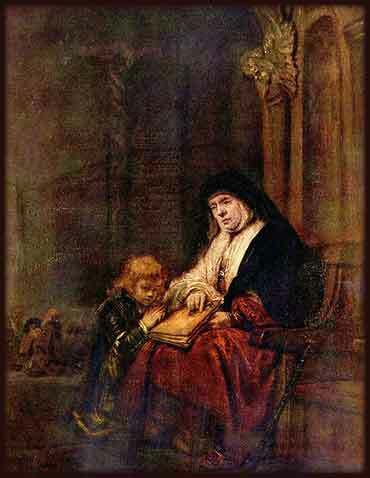 According to Jewish law, one was considered a Jew by birth if his mother was Jewish. Thus, Timothy is a Jew, but for some reason he had not been circumcised. Paul has the circumcision performed. Despite the edict of the counsel of Jerusalem and the teachings in Antioch, there must have still been some skepticism about accepting Gentiles into Christian churches. Lystra and Derbe were small and comparatively unsophisticated agricultural towns, and they had large Jewish populations which probably dominated the little churches there. So although they had been told to accept Gentiles, still, individual members would have been more comfortable with other Jewish converts. Moreover, since Paul intends to travel to new areas, preaching in synagogues, it was probably prudent that his company be as Jewish as possible. He could not have brought a Gentile into a synagogue with him, and if he had been suspected of traveling and eating with a Gentile, it would have seriously alienated a Jewish community right off the bat. So Paul removes any doubt about Timothy.